The supermodel reflects on fashion, friendships and thirty years on top. Asking Naomi Campbell about beauty is a bit like asking Picasso about painting or the Pope about prayer: Where does one even begin? 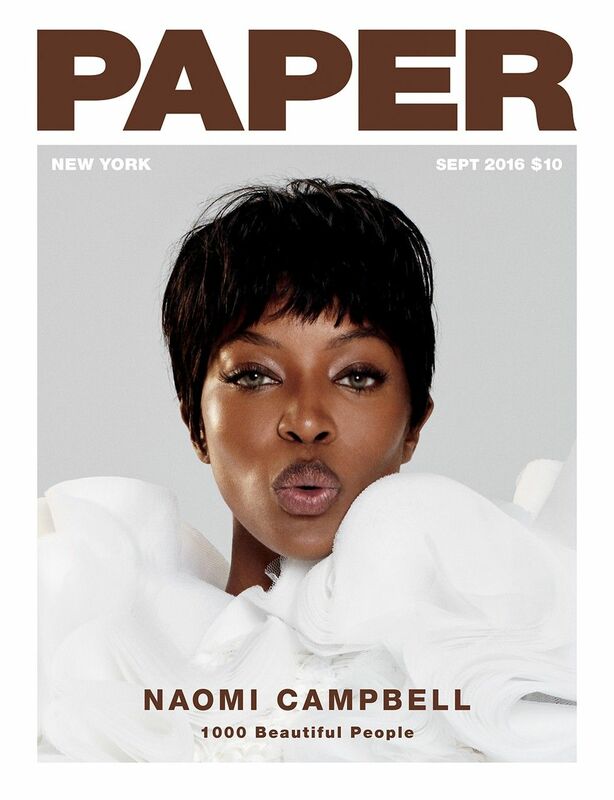 For the last three decades -- she appeared on her first magazine cover at 16 in 1986 -- Naomi has been the face, the body and the attitude of nearly every recognizable moment and image in fashion. She was the first black model on the September issue of Vogue and the first ever on the cover of Vogue Paris. The supermodel era may have come and gone, but Naomi's position at the Everest peak of the industry has survived. Anyone privileged enough to sit front row (or fifth for that matter) at a fashion show can attest to the Naomi Effect -- that of being rendered in utter rapture by the simple act of watching her walk, the force and grace as yet unmatched by any other. Even Beyoncé was compelled to pay homage in her song “Get Me Bodied," rallying women all over the world to “walk across the room like Naomi Campbell!" 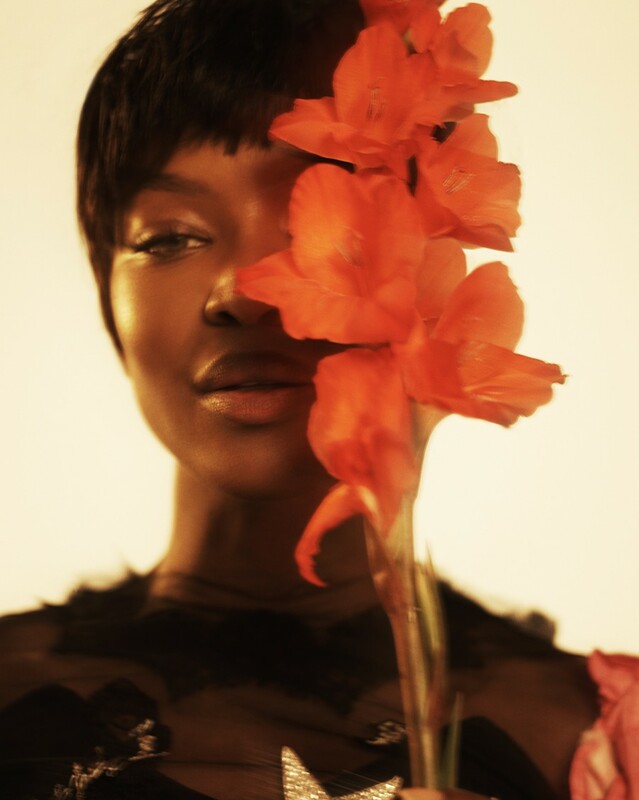 While the world might be in awe of her beauty, Naomi herself is less concerned with surface-level beauty than in surrounding herself with people who are beautiful inside and out. “They are not showy, but sincere," she says. “They are loyal and honest and there with you throughout, being themselves and being true. Pure." They are some of the highest-flying names in fashion and film: The designer Riccardo Tisci, the director Lee Daniels and the Versace family, among others, are all friends that she talks about with a level of affection you would normally find between close family members. It is these relationships that have buoyed her through the highs and occasional lows of a career writ large in an industry not necessarily known for its kindness and loyalty. She had a chance to consider these and other aspects of her personal and professional life with the release of her two-volume book, aptly titled Naomi Campbell, earlier this summer. More collectible art piece than standard coffee table fashion tome, Volume 1 features a limited edition cover designed by artist Allen Jones. Volume 2 includes an extensive autobiography; not surprisingly, Naomi says it wasn't the fabulous clothes or the iconic images that touched her most, but the bonds she still has with the people in those photographs and behind the camera. “Those memories to me are so beautiful," she says. “And all of the friendships I've somehow managed to maintain," she adds, not the least bit wistfully. But the book's work of considering her past does not keep her from seeing what's next in the industry. 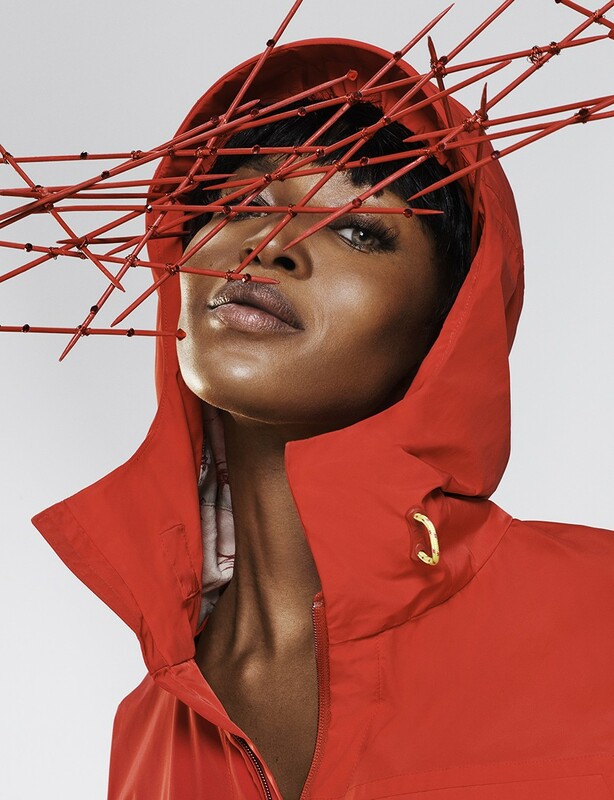 When it comes to the new class of designers, models and artists who now look to Naomi for guidance and encouragement the way she did as a younger model, she takes a pay-it-forward approach: “If a young model asks me for advice or if I can help them, I will. I'm very much supportive of young artists, young photographers, young models. There is nothing wrong with sharing; I think you should. And I never do it expecting anything in return." Working intimately with designers over the decades has given her an unequaled eye for who has what it takes. On her short list? New York designer Brandon Maxwell, whom she accompanied to the CFDA Awards (he was the Swarovski Womenswear winner) and wore to her birthday party in May -- what better endorsement? -- as well as Brazilian Pedro Lourenço, who is reimagining the lingerie brand La Perla. But as unflinchingly supportive as she is of the community that has made her an icon, Naomi, like the rest of us, can't ignore the sea changes upending the industry at present. As more and more is demanded of creative people, there is less and less time and freedom to create. “For shoots, we used to have these amazing trips, and now it's just get there and start, in and out," she says. “Time is just… shorter." But that doesn't mean she can't meet the challenges that our current moment demands. “I still have to deliver my end of the stick, and I love what I do and the enthusiasm is the same," she adds. In the last few years, Naomi has taken that signature enthusiasm from the photographer's set to the film set, in scene-stealing roles on Lee Daniels' runaway hit Empire, where she played conniving fashion designer Camilla Marks, and Ryan Murphy's horror campfest American Horror Story, as a magazine editor who meets a bloody end. And that's also not to mention her work producing and hosting the woefully short-lived model competition series The Face, which ran in US, UK and Australian editions, all between 2013 and 2014. Although the model-to-actress path has historically been fraught with peanut gallery naysayers, her turns on these (admittedly over-the-top) series were roundly embraced. “Models used to get a hard time when they wanted to cross over into something else. And to be so supported, I really didn't think that would happen," she says of her recent television work. “I feel very blessed for the opportunity to be able to express myself in a different way." It's no surprise that the moving camera loves Naomi just as much as the still one, and that audiences are responding in kind. Speaking of moving, this summer also saw her appear in the stunning video for “Drone Bomb Me," by Anohni. In the clip, which was art-directed by Tisci, Naomi is brought to tears on camera while sitting motionless in a chair, lip-syncing the artist's bleakly poetic lyrics about violence, death and hopelessness. She is absolutely riveting and has perhaps never been more beautiful. But how does someone so full of life and love get to a place like that? “I used past experiences to get there, to imagine if I was living in a place that was having drones and bombs dropped on me," she says. “I just tried to go to that place, because I had to deliver." It's a far cry from George Michael's “Freedom! '90" video, which starred Naomi along with her supermodel friends, cementing them all in the pop-culture pantheon at the dawn of that decade. Taken together, these two vastly different pieces of musical film starring Naomi at different points of her life and career show the depth of story and experience of one of the most captivating personalities in fashion, a body of work that is nothing short of drop-dead gorgeous.